As if we needed another reason for an extra scoop of ice cream this summer, June marks National Dairy Month. 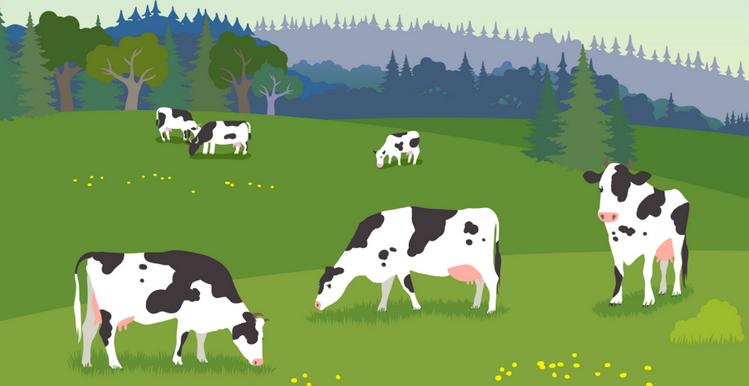 Originally created as National Milk Month in 1937 as a way for chain stores to match peak milk production by increasing demand, June has become the time of year to celebrate dairy and the dairy farmer throughout the country. These strawberry ricotta pancakes throw both ricotta and milk into the mix for a breakfast that starts your day on a sweet note. You can’t beat fresh strawberries in June or dairy products any time of year, so add this one to your summer recipe list and top it with butter or whipped cream for good measure. When you want a healthy, yet substantial, lunch, these black bean quesadillas don’t disappoint. Hot, portable, and packed with essential nutrients and fiber, they are a great way to slip in vegetables and an excellent excuse to load up on the cheese. Yogurt parfaits are the perfect mid-afternoon snack, despite being marketed as a breakfast food. Lightly sweetened and packed with probiotics, vitamins, and the season’s crop of berries, parfaits are typically layered and topped with toasted granola to add some major crunch to the otherwise creamy bite. Make these ahead of time and add the topping just before serving, for maximum freshness. Bring it home for dinner. From pizza to cheeseburgers, there are several ways to add dairy to your dinner, and one of our favorites is this homemade macaroni and cheese from the Country Contessa. Extremely rich and satisfying, it will make even meat-eaters blush (although you can certainly serve it alongside a steak or, better yet, top it with bacon). And eat some ice cream, of course. No matter how you celebrate National Dairy Month, take a moment this June to appreciate the people and effort it takes to bring so many delicious dairy products to the table. It’s more than a celebration of food. It’s a celebration of hard work, progress, and communities. The fact that it’s also delicious is just the cherry on top.